There are some questions I didn’t realise were still worth asking. Is blogging journalism? Will blogging kill journalism? Can bloggers save journalism? So I was a tiny bit surprised to find myself talking about all these at a Bristol Festival Of Ideas event last Friday. As far as I’m concerned, the definitive answers are “sometimes”, “no” and “not completely”. Blogging is a platform, and just like print it hosts good practitioners and bad practitioners. It’s well established now as a complement to straight news – so much so that most newspapers publish their comment sections in a blog format online. Meanwhile, a Wired feature by Chris Anderson and Michael Wolff argues that the rise of the app market means that the open internet in which blogs have thrived will soon be eclipsed. Media companies might just have found what they want: a way to use the astonishing distribution potential of the internet and make readers pay for it. Which means the time when blogs were serious competion for an audience’s attention and money could be on the way out – a good thing for the financial security of the journalism industry and its employees, a bad thing if you like the way the web opens up journalism to non-pros with a story and scrutiny-minded amateurs. The debate I took part in made me realise that not everyone is thinking that way. For some journalists, bloggers remain an exisential threat – forgetting that there are plenty of journalists who blog professionally, or who self-publish extraordinary reporting and testimony, or who do so as an unpaid addendum to their employment. For some bloggers, blogging is the scourge that will clean up a corrupt mainstream media – forgetting, natch, that there are plenty of bloggers as billious and hateful as the worst newspaper employees, and that bloggers have seemingly worked hand in hand with traditional media outlets to get some truly grotesque non-stories going (Guido, The Mail, I am giving you a squinty look). 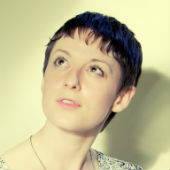 One of the strangest points in the discussion was when the idea of a code of conduct for bloggers came up, and Brooke Magnanti suggested that bloggers already had their own code of conduct, pointing to the fact that while her identity was known to some in the blogging community, none of those who guessed chose to sell her out. To me, this only says that bloggers are a group with shared social norms that value anonymity: that one principle means nothing in terms of accountability to or honesty about people who aren’t bloggers. In the Saturday workshop, the delegates from the Bristol NUJ seemed to tentatively approve the idea of extending NUJ affiliation to bloggers and inviting them to adhere to its code of conduct, which is quite good. I hope they do. Bloggers – I think, anyway – are quite likely to become workers for media companies over time, and it makes sense for the union to cultivate the sympathetic ones from early on whether they ultimately turn pro or not. There were some objections to this from NUJ members: one suggested that bloggers should be required to suspend posting in sympathy with industrial action, because they believed that blogging counted as supplying copy if a journal scraped the content to fill a page. Tagging bloggers as blacklegs for being plagiarised struck me as highly daft, and showed a real lack of understanding about how copyright applies to work published online. Which means that, if the happy anarchy of the web really is on the wane and blogs with it, some people still have a lot to learn before it’s all over. If you’re really interested in the discussion, you can watch the video above – with contributions from Roy Greenslade, Anton Vowl, Sunny Hundal, Iqbal Tamimi, Brooke Magnanti, Elisabeth Winkler, Kevin Arscott and Donnacha DeLong (yes, there was a vast panel, and it probably didn’t help the discussion to stay focused). I can’t because it’s excrutiating to hear myself talk. This is the most sensible article on blogging vs journalism that I have yet read.